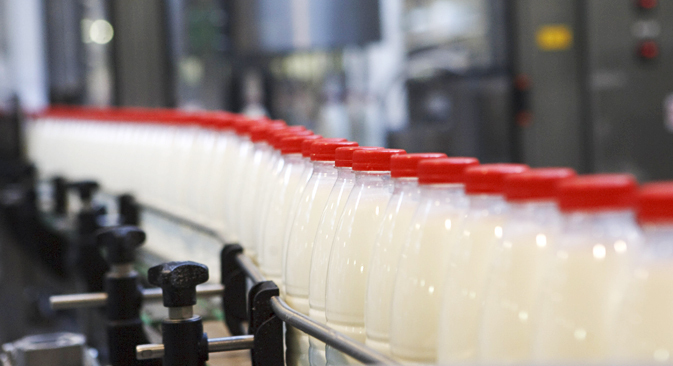 The dairy complex in the Ryazan Region will be the largest in Russia. A consortium comprising of Thai conglomerate Charoen Pokphand Group (C.P. Group), China’s Banner Infant Dairy Products (Banner Dairy) and the Russian Direct Investment Fund (RDIF) will invest about $1 billion for the establishment of a dairy complex in Russia, RFID said on May 18. The complex, which will be Russia's largest integrated dairy complex, will be located in the Ryazan Region. A memorandum to establish the complex was signed on May 18 in St. Petersburg in the presence of Russian Prime Minister Dmitry Medvedev and his Thai counterpart Prayuth Chan-ocha.